be beneficial to Lộc’s health and so that he could defend himself. These high aspirations pushed him, in addition to instructing himself in moral education, and general culture, to reserve some time to study various martial arts and collect their best techniques. Nights and days he was studying, and his best friends were his books, which ranged from Philosophy, Literature and History to Medical sciences and physiology. According to Master Chưởng Môn Lê Sáng, although the programme was already structured in three levels (beginner, intermediate and advanced), very few students would train for more than 3 years, because of the political and social situation at that period, because of prohibitions from the French colonialists. Only a handful of people were training secretly. The public classes usually spanned only over three months, and included: physical condition training, stances, strength training, crawling, falls and rolls, basic self defense and locks, counter attacks as well as 4 dual forms, self defense against sword, the long stick, machete, 21 offensive leg techniques (those were included in the dual forms. They were not practiced on their own.). During training sessions or demonstrations, pratitioners would wear short trousers and bare-chested. In 1945, Mr Nguyễn Lộc married Ms Nguyễn Thị Minh, daughter of Mr Nguyễn Ngọc Hoán and Mrs Bùi Thị Ngọ, which whom he got 9 children (3 boys and 6 girls): Nguyễn Đạo, Nguyễn Chính, Nguyễn Quang, Nguyễn Thanh Phương, Nguyễn Thanh Mai, Nguyễn Thanh Ngà, Nguyễn Thanh Phú, Nguyễn Thanh Bình and Nguyễn Thanh Mỹ. Mr. Nguyễn Lộc was of strong stature (above 90 kg) and though he was a famous martial arts master. With a hot pot of tea and a cigarette pack aside, he found himself immersed in day long and sometimes even night long literature, fine arts and photography discussion with his friends and disciples. Sociable and kind, he was respected by everyone around him. Gentle, harmonious, simple, Mr. Nguyễn Lộc insisted that the disciples called him “Anh Lộc” (Brother Lộc). Even so, he was very strict, cautious, and had high expectations for himself and his disciples when it came to training. Master Lê Sáng’s family originally resided in Thanh Hóa Province, but he was born in autumn of 1920 in a house on the banks of Trúc Bạch lake in Hà Nội, the oldest son of Mr. Lê Văn Hiển (known professionally as Đức Quang, 1887 – 1959) and Mrs. Nguyễn Thị Mùi (1887 – 1993). 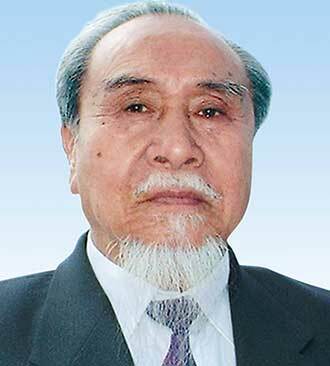 His two sisters are Lê Thị Xuất (1927-2004) and Lê Thị Dư who is also known as Hoài Hương (borned on 12-9-1937). In 1939, after suffering a severe illness which left him walking with difficulty, he followed his mother’s advice and began studying martial arts in order to strengthen his legs and improve his physical health. Good fortune steered him to Founding Grandmaster Nguyễn Lộc’s Vovinam class at the Hà Nội Pedagogical College (Ecole Normale). Due to his natural ability, intelligence, and diligent practice, after just a few years he was chosen by Founding Grandmaster Nguyễn Lộc to take part in the work of training others in Hà Nội. From then on, he became as close to Grandmaster Nguyễn Lộc as a younger brother is to an older brother, sharing in his labors and his hardships, following him as he taught the discipline of Vovinam in many places in northern provinces of Việt Nam such as: Hữu Bằng, Chế Lưu, Ấm Thượng, Thanh Hương, Đan Hà, Đan Phú, etc. By the end of 1954, he was assigned by the Founding Grandmaster the task of opening a Vovinam classes in Sài Gòn and Gia Định areas. By 1957 (year of Đinh Dậu), when the Founding Grandmaster fell ill, Master Lê Sáng took over and taught all disciples who were trained by Founding Grand Master at the time; in the meantime, he opened 3 more on Trần Khánh Dư street (in Tân Định district), on Sư Vạn Hạnh boulevard (next to Ấn Quang pagoda), and another on the corner of Trần Hưng Đạo boulevard and Huỳnh Mẫn Đạt street (area is known for Moulin Rouge – name of a dancing club that has ceased to operate). 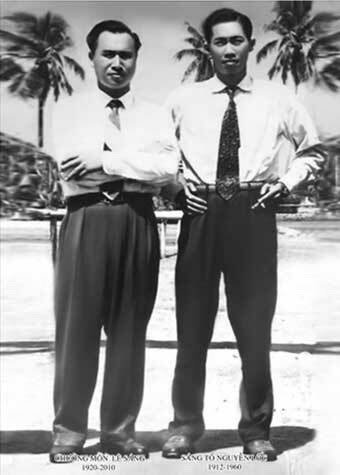 At the end April of 1960, before passing away, the Founding Grandmaster named master Lê Sáng the next leader in charge of the Vovinam discipline. Early in 1961, due to the state of affairs in the country at the time, a government policy prohibited all martial art disciplines in Sài Gòn to operate, Master Lê Sáng stopped teaching temporarily. A while later, Mr. Nguyễn Hải (a brother of the Founding Grandmaster) who ran a rubber plantation and a lumber yard in Buôn Ma Thuột and Quảng Đức, needed help and he asked Master Lê Sáng to provide oversight on the operations. By late 1963, when the policy was lifted and the disciplines were allowed to operate openly again, he returned, coordinated with his core staff and began the recovery period and planned a new phase of expansion for the discipline. 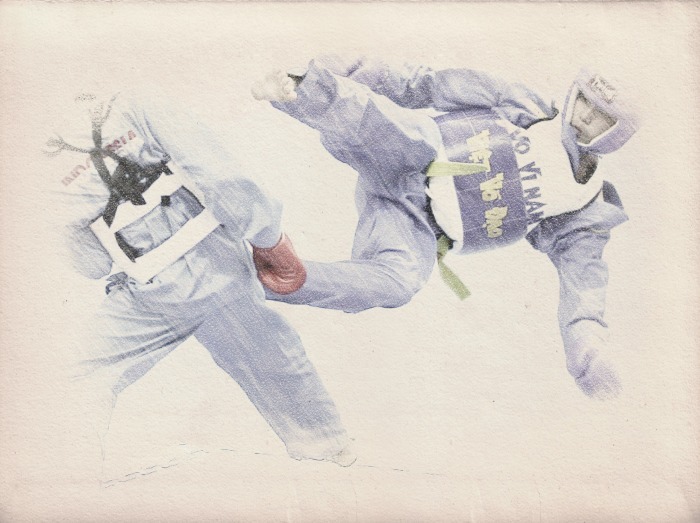 As the closest and most senior disciple with almost 20 years of working at the Founding Grandmaster’s side, Grandmaster Lê Sáng had unparalleled knowledge of Vovinam’s philosophy and techniques. With natural talent and deep sense of commitment, Grandmaster Lê Sáng has maintained unity within the discipline; along with contributions of generations of masters, instructors, students, and a large base of supporters, Grandmaster Lê Sáng has further expanded upon the ideas of Founding Grandmaster Nguyễn Lộc and developed Vovinam Việt Võ Đạo martial art into a philosophy with a scientific and practical technical training system as we know it today. In the mid of 1960’s, although living in constrained circumstances, he has not only directed the Vovinam movement but also spent his days training students for hours on end and his nights hunched by a lamp writing books and articles, systemizing the Founding Grandmaster’s philosophy of martial arts. The ideology steers Vovinam-Việt Võ Đạo disciples toward a noble life philosophy: “Live, let other live, and live for others”. 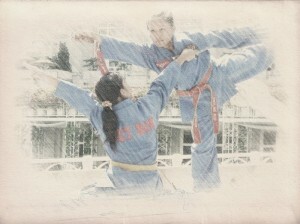 Following it, a Vovinam-Việt Võ Đạo disciples not only gain martial arts ability to overcome one’s own weakness of mind and body, the person can also organize for himself or herself a decent life, but also not to interfere with other lives as well as also has the responsibility to help others living well, and willing to sacrifice personal, tangible or intangible, interests to serve the common good of the discipline and the society at large… Furthermore, he was constantly honing and improving the Vovinam-Việt Võ Đạo techniques to become even more rich and useful, suitable for variety of people. Even at very old age, Grandmaster Lê Sáng continued his research and enhanced the technical program to adapt to the new development phase when Vovinam-Việt Võ Đạo has begun to show strong growth overseas following the milestone laid initially in France since 1973. All important contributions of Grandmaster Lê Sáng is the prelude for creating the basis for Vovinam-Việt Võ Đạo movement to thrive, flourish and gradually spread over 40 countries around the world, making a strong impression of Vietnamese martial art traditions as well as a cultural identity of the people of Vietnam. 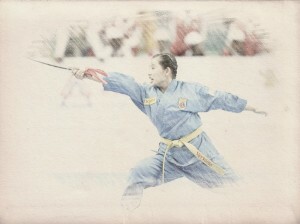 Beyond his responsibility and dedication to the discipline, Grand Master Lê Sáng also participated in other activities. He was elected Secretary General of South Vietnam Martial Arts Coalition and the General Treasurer Olympic Commission of South Vietnam for several consecutive terms (from the early 1960s to early 1970s). During that time, with high sense of responsibility, shrewd business skills and impeccable integrity, he earned respect of the sport officials and masters of other disciplines. Founding Grandmaster Nguyễn Lộc. 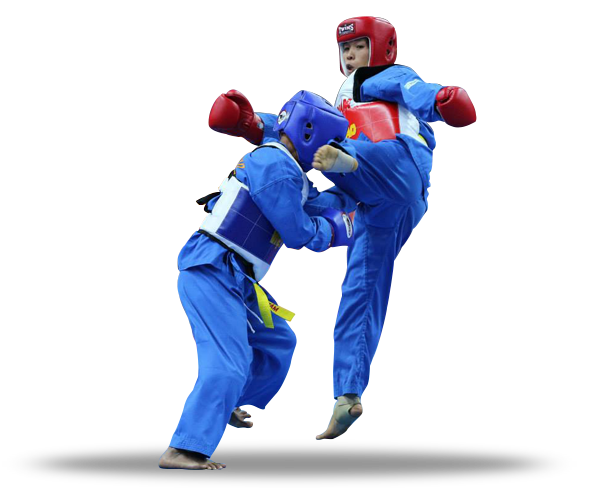 Grandmaster Lê Sáng has sacrificed nearly his entire life to the work of building up and developing the discipline of Vovinam-Việt Võ Đạo. After a period of grave illness, at 3 am on September 27, 2010, or the eighth month of the lunar calendar, year of the Tiger, Grandmaster Lê Sáng has gone forever at 91 years of age. 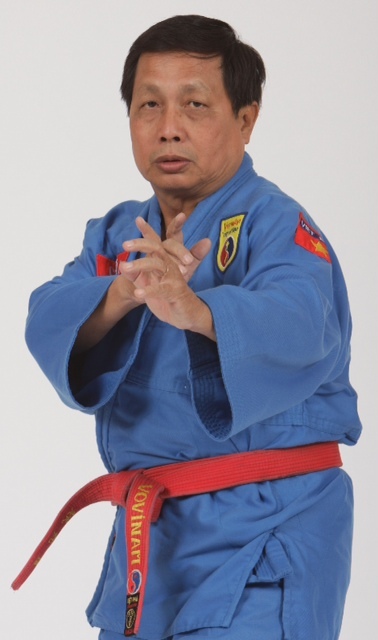 The departure of Grandmaster Lê Sáng is a major loss to the martial arts in general and to the võ đạo teachings; and undoubtedly it’s a great misfortune for all Vovinam-Việt Võ Đạo disciples worldwide. Master Nguyễn Văn Chiếu was born in Vietnam on November the 4th, 1949. 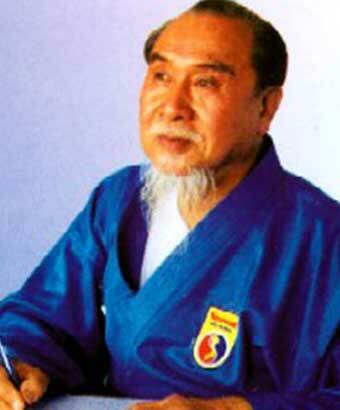 He began to practice Vovinam in 1965 with Master Trịnh Ngọc Minh and later, with Patriarch Master Lê Sáng. 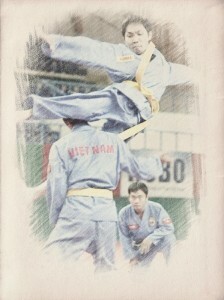 In 1967, he obtained the title of Vovinam instructor and taught in Petrusky Vovinam Club in Saigon. 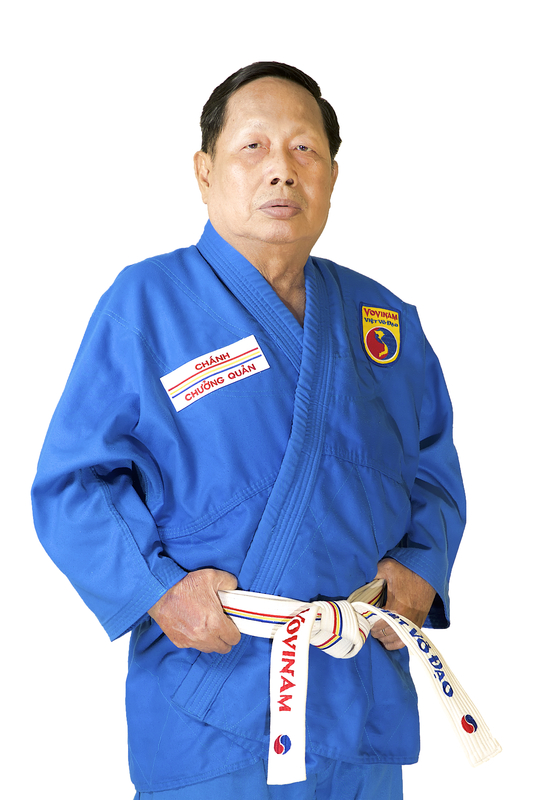 In 1969-1970, he taught Vovinam in Cam Ranh Town, Nha Trang city and became director of Cam Ranh’s Training Center. 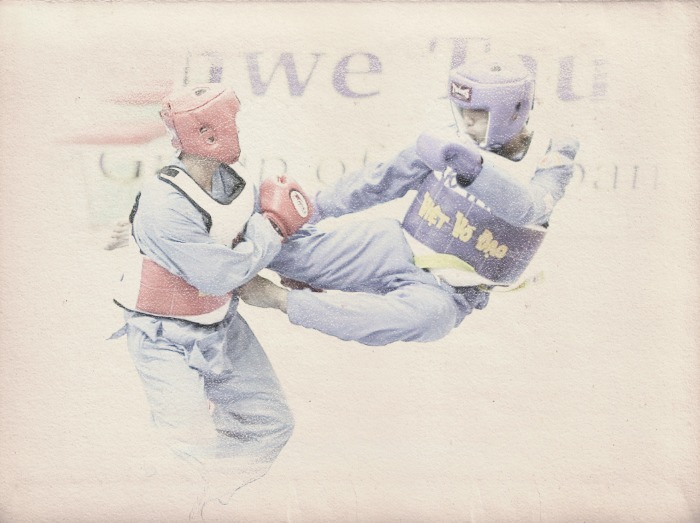 Between 1970 and 1975, he taught Vovinam in Quy Nhơn City (Bình Định), a famous region known as the land of martial arts. Even though he was still very young (21 years old), Master Nguyễn Văn Chiếu was very hard-working, diligent and cautious. He was know for talking little but doing much and as someone who only speaks about what he knows and about what he can do. Within the 5 years he spent in Quy Nhơn, he opened and built 12 Vovinam clubs and was the director of the Vovinam Training Center of the province (Bình Định). He was instrumental in the development of Vovinam at this time, and gradually spread Vovinam to the surrounding cities. His students from this time in Quy Nhơn will tell you with absolute certainty that Master Nguyễn Văn Chiếu is still remembering those days as the most memorable in his life. They are conforted in this thought by the fact that Master Nguyễn Văn Chiếu named his son “Nguyễn Bình Định”, after their province’s name. 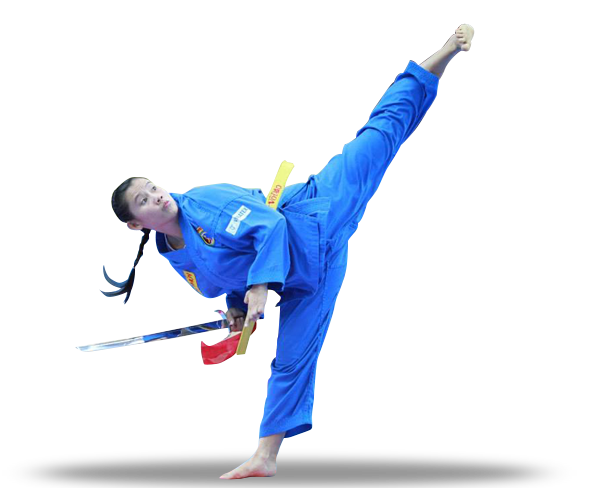 Nguyễn Bình Định is now also a young Vovinam master.Master Nguyễn Văn Chiếu went back to Saigon after the war, in 1975, and worked at the Sports Center of District 8. In 1976, he gathered some masters and instructors to train in district 8. 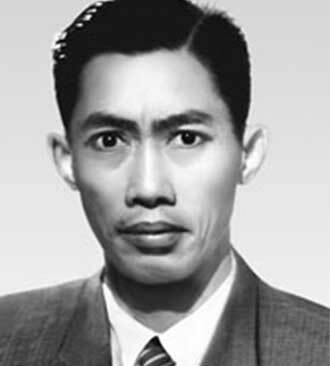 Due to political and national security reasons, the martial arts were forbidden in Vietnam after the war, but thanks to his continuous efforts and steady work, Master Nguyễn Văn Chiếu convinced the Vietnamese officials to reauthorize the practice of martial arts, and in 1978, the Government cancelled the prohibition. On December the 15th 1978, the first Vovinam class was opened in District 8 beginning the recovery of the Vovinam school in Hồ Chí Minh City (formerly known as Saigon before 1975). Since this time and up to the beginning of the 80’s, many other training centers re-opened in other provinces such as Cần Thơ, Nha Trang, Bình Định, etc. 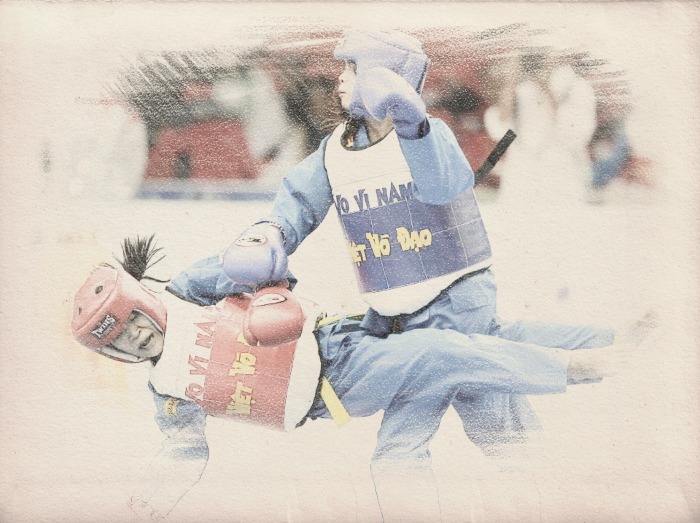 Hồ Chí Minh City’s district 8 quickly became an important centre in Vovinam, where many strong masters have been formed. In 1990, Master Nguyễn Văn Chiếu made his first trip outside of Vietnam. Together with three other masters, he went to Belorussia for a month to perform demonstrations and introduce Vovinam. 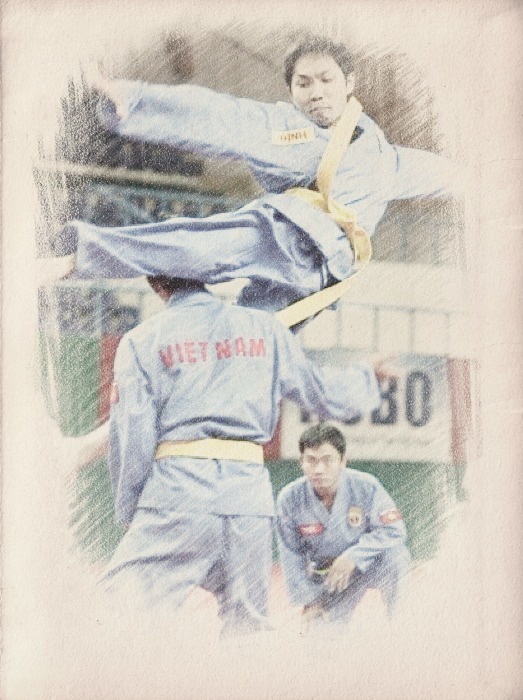 After his return to Vietnam, he focussed his attention to building technical and fighting competition rules and managed to get approved and authorised the first National Vovinam Championship in Ho Chi Minh City (Vietnam) in December 1992. In 1996, he lead and took part, along with his students, into a very successful series of demonstrations at the 2nd Festival of Martial Arts and Games in Bangkok (Thailand), which attracted 52 countries. In 1997, he travelled for the first time to Tenerife (Spain), and has since been extensively to Europe (France, Italy, Germany, Belgium, Romania). He helped opened the bridge between Vovinam Vietnam and Europe, and many delegations from European countries came to Vietnam to train and to get to know more about Vovinam. 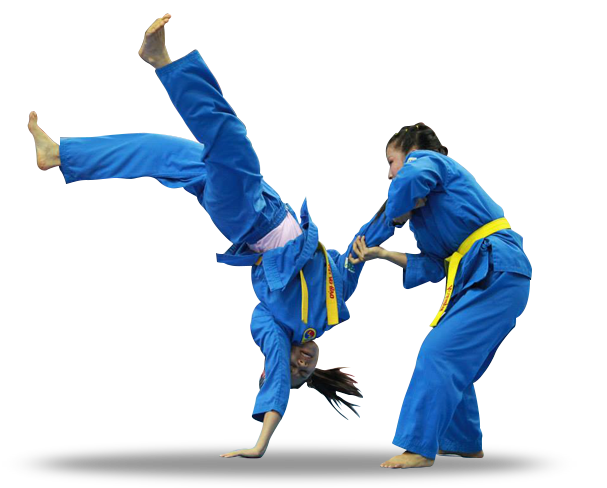 Thank to his tremendous work, Vovinam is now on par with other international sports and has even been taking part in the 3rd ASIAN Indoor Games in Vietnam in 2009, in the 26th SEA Games in Indonesia in 2011, in the 27th SEA Games in Myanmar in 2013. He is the founder of the first International Vovinam tournaments, which since 2009 have been organised under the aegis of the World Vovinam Federation.He has also set foot on 4 different continents to give demonstrations and seminars, in Russia, USA, Indonesia, Singapore, Taiwan, Malaysia, Cambodia, Iran, India. On the 24th of August 2010, at Tổ Đường, Patriarch Master Lê Sáng announced his wish to see established a new organization committee. He named this organization committee: “ The Vovinam Việt Võ Đạo School’s Management Masters Council” (Hội Đồng Võ Sư Chưởng Quản Môn Phái Vovinam Việt Võ Đạo) and set it up to replace the organisations in place thus far. 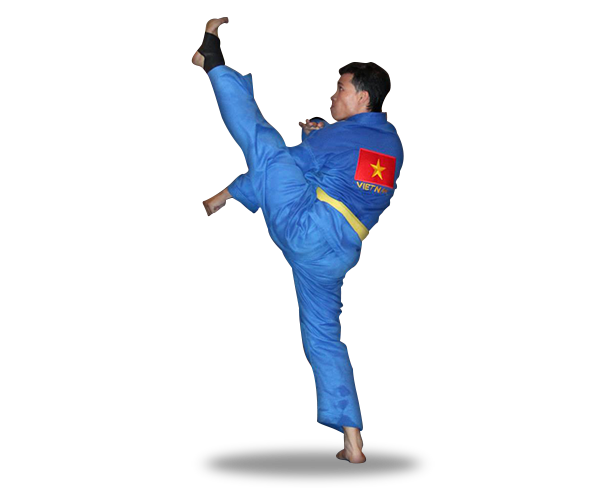 Master Nguyễn Văn Chiếu was appointed “ Chánh Chưởng Quản” – the head of the Management Masters Council and leader of the Vovinam school. He is presently the Master with the highest Vovinam belt (Hồng Đai Ngũ Cấp – 9 Đẳng), in and outside of Vietnam, and has students all over the world. In 2012 he directed a seminar in Alger (Algeria) with more than 2000 participants. 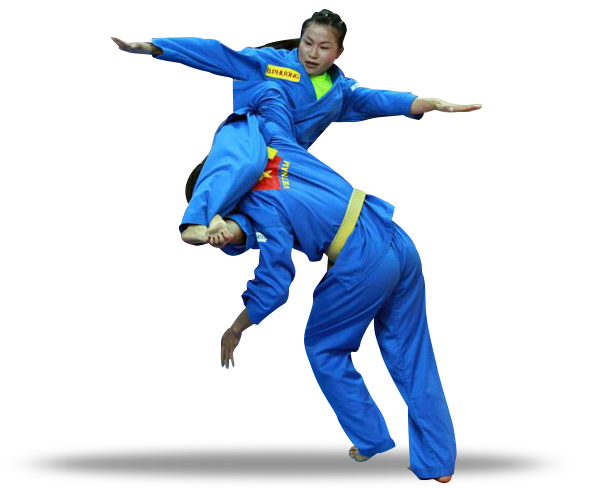 Master Nguyễn Văn Chiếu has always acted in favour of the establishment of federations and in particular played an important role in the setting up of the World Vovinam Federation – WVVF (Vietnam – 2008), the Asian Vovinam Federation – AVF (Iran – 2009), the European Vovinam Viet Vo Dao Federation – EVVF (France – 2010) , the South East Asian Vovinam Federation – SEAVF (Cambodia – 2010) and the African Vovinam Federation – FAV (Algeria – 2012). 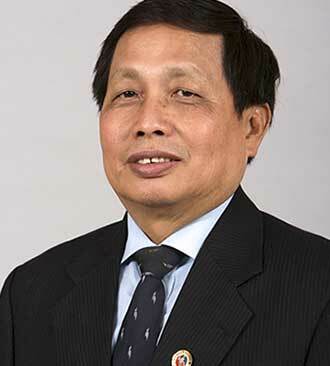 Since 1989, Master Nguyễn Văn Chiếu has been President of the Việt Võ Đạo Association of Hồ Chí Minh City. From 2007, he has been Vice President of the Vietnam Vovinam Federation – VVF in charge of the technique. 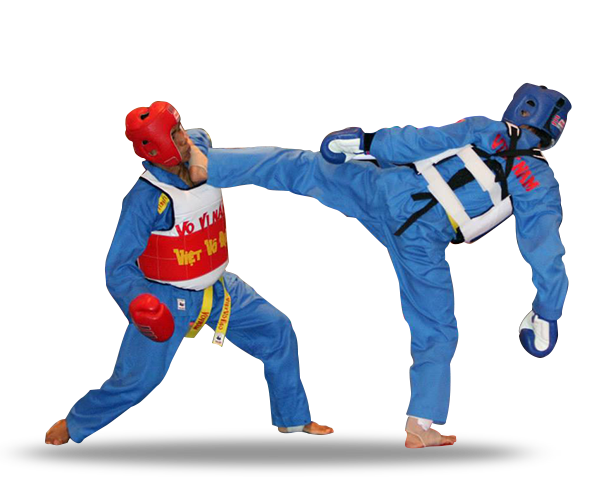 From 2008, he has been Vice President of the World Vovinam Federation – WVVF in charge of the technique.